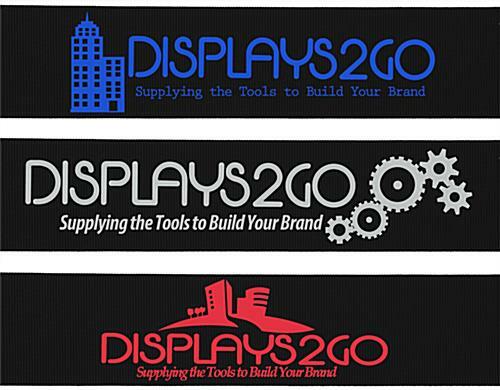 Click here for templates & guidelines. 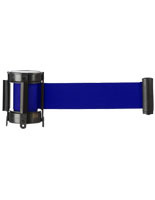 This custom stanchion belt is a great crowd control option. Choose from having your logo or slogan printed one either one or two sides of the retractable rope. 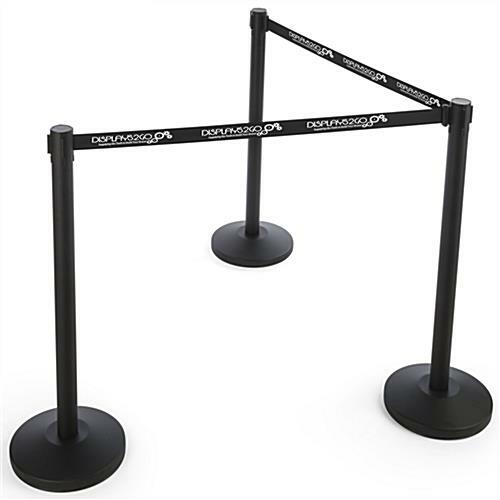 Each black belt is 6.5' long and compatible only with QueuePole stanchions. Each belt comes with a 4-way adapter for easy attachment to posts. 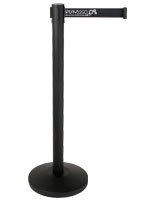 Please Note: This unit is a replacement belt for QueuePole.Economy Stanchions ONLY! 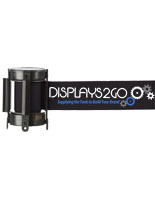 Cassette is not compatible with any other QueuePole Stanchions or crowd control options shown on StanchionsDirect. 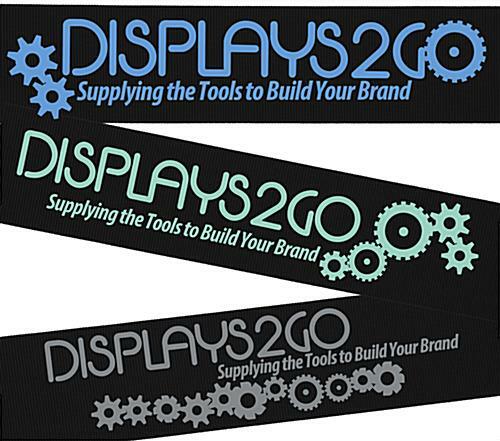 3.9" x 3.9" x 3.4"
An in-stock lead time of 15 business day(s) begins after the artwork proof has been approved. Product does NOT ship on a same day basis. We are unable to accept orders for less than 10 units per image.